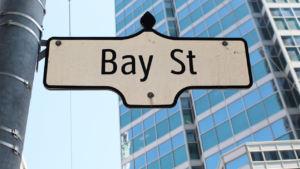 Canada’s wealthiest 20% are six times wealthier than than the bottom 60% of all Canadians combined. That’s according to newly released wealth data from Statistics Canada showing the gap between rich and poor continues to persist in Canada. There was about $10 trillion in wealth around Canada in 2016, but the net worth of Canada’s wealthiest 20% accounted for nearly $7 trillion (67.3%) of that. 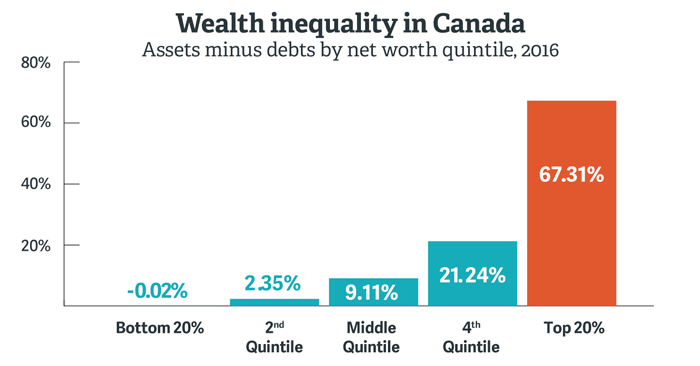 By contrast, the bottom 40% of Canadians controlled only 2.3% of all wealth while the middle 20% held 9.1% of all wealth – together, the bottom 60% of all Canadians get only one-tenth of the pie. 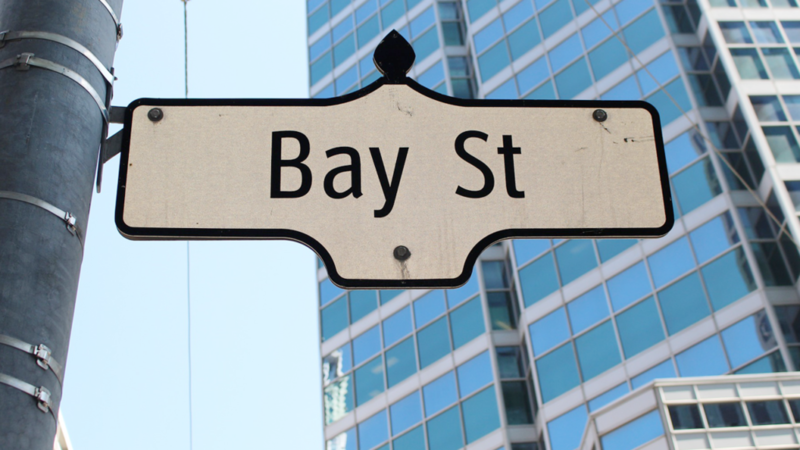 Where is Canada’s biggest wealth gap? Provincially, Alberta and Québec see the highest concentrations of wealth in the hands of the top 20% – 70.3% in Alberta and 68.3% Québec. But the wealth gap is even more stark in Canada’s bigger urban centres – a pattern underlining growing inequality in Canadian cities. 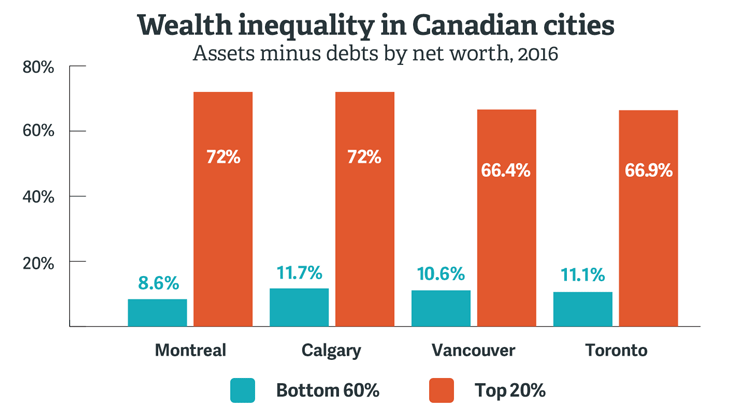 Montréal has the biggest wealth gap of Canada’s major cities, where 72% of wealth is concentrated in the hands of the top 20% while the bottom 60% only owns 8.4%. 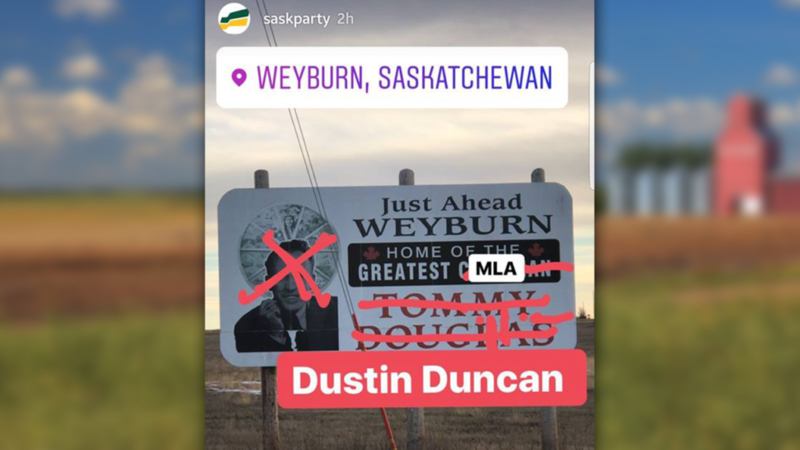 Next is Calgary where 72% of the wealth is held by the top 20% and 11.7% is in the hands of the bottom 60%. As Broadbent Institute senior policy advisor Andrew Jackson notes, one limitation of the new data is that it does not include a breakdown within the top 20%. That’s significant since wealth is even more highly concentrated in the top 10% and top 1%. 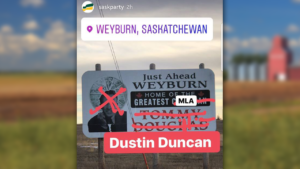 An Instagram “story” that appeared on the party’s official account last week featured a digitally altered image of a billboard honouring the father of Canadian medicare outside his hometown of Weyburn, Saskatchewan.